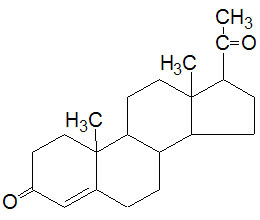 Progesterone is estrogen’s partner. It is secreted primarily in the ovary after ovulation and is responsible for promoting implantation of the embryo and maintaining pregnancy. It is the major hormone of pregnancy. During a woman’s menstrual cycle estrogen causes the uterine endometrium to grow and prepare for a pregnancy. Progesterone comes in about mid-cycle and says “OK, that’s enough”, and modulates the building effect of estrogen and finishes preparation for gestation and then hangs around in high levels if implantation occurs to make sure everything stays calm and supportive for the next nine months. Estrogen builds, makes things grow, makes us excited, sometimes irritable, and repairs tissues. Progesterone is like the grandmother who comes in and calms everything down. It modulates not only endometrial growth but also decreases breast tissue proliferation. It has a calming, anti-anxiety effect on the nervous system through stimulation of GABA receptors, especially when given orally. By the time a woman reaches her forties, she is beginning to have periodic anovulatory cycles (a menstrual cycle where no egg cell is released from the ovaries) and her hormone levels are declining. Progesterone in particular takes a precipitous fall and can have serious consequences. 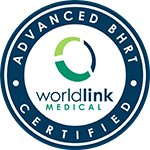 Estrogen left unchecked can lead to heavy bleeding, fibroid tumors, and breast tissue proliferation. Breast cancer begins to raise its ugly head frequently in women in their forties. This increase is not due to estrogen excess but to progesterone deficiency. Studies show that women who had the highest progesterone levels at the time of diagnosis of breast cancer had the least invasive cancers and the best prognosis. The fluctuations in hormone levels can also lead to migraines and increasing emotional turmoil varying from apathy to irritability to overt rage. During perimenopause, progesterone can alleviate these symptoms as well as protect against breast cancer. 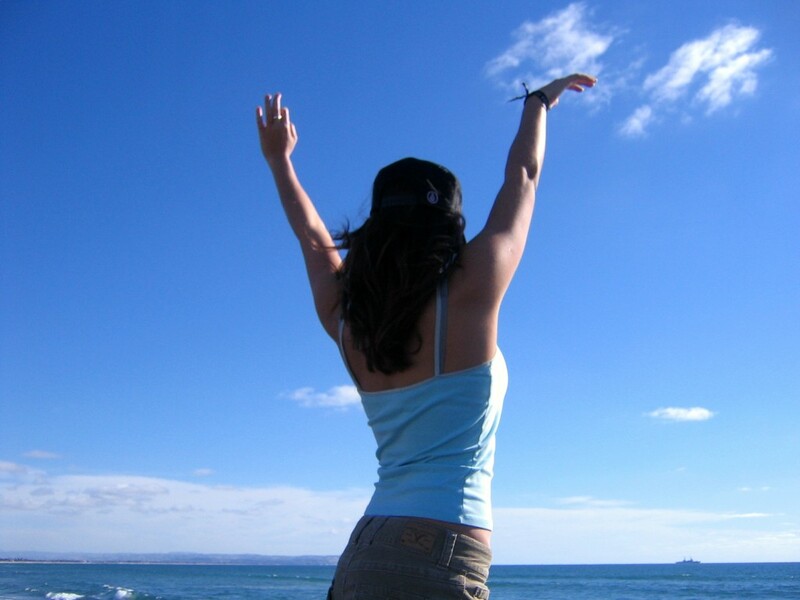 Progesterone is a “feel good” hormone and promotes a feeling of contentment. 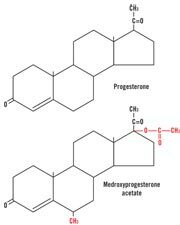 Progesterone along with estrogen promotes a healthy heart and healthy lipid (cholesterol) levels. It works with estrogen to prevent cardiovascular disease. It prevents endometrial cancer in women on estrogen with a uterus and prevents breast proliferation and breast cancer in all women. All women need progesterone – even if they have had a hysterectomy. Progesterone lifts mood, alleviates insomnia and hot flashes, promotes a feeling of contentment, and prevents osteoporosis. Though used interchangeably in literature, by the media, and by physicians, progesterone and Provera are not the same biochemically and they have very different effects on the body. Provera, which is a progestin, has been shown in study after study to increase the risk for breast cancer, depression, weight gain, blood clots, and cardiovascular disease (stroke and heart attacks). It is not safe and in my opinion, it should not be used. Progesterone has been shown to not only be safe but to protect the breast and endometrium against breast cancer and uterine cancer as well as work with estrogen to decrease the risk for cardiovascular disease. Bio identical micronized progesterone is available commercially as Prometrium in 100 and 200 mg tablets, and can be compounded by a compounding pharmacy in varying doses for oral, sublingual, or topical use. It can do anything that Provera can do but better and is much safer. Make sure your doctor prescribes bio identical progesterone, NOT medroxyprogesterone or Provera, for you. Please see Dr. Neal Rouzier’s book, “How to Achieve Healthy Aging”, for a wealth of information and a plethora of studies documenting the benefits of natural micronized progesterone.